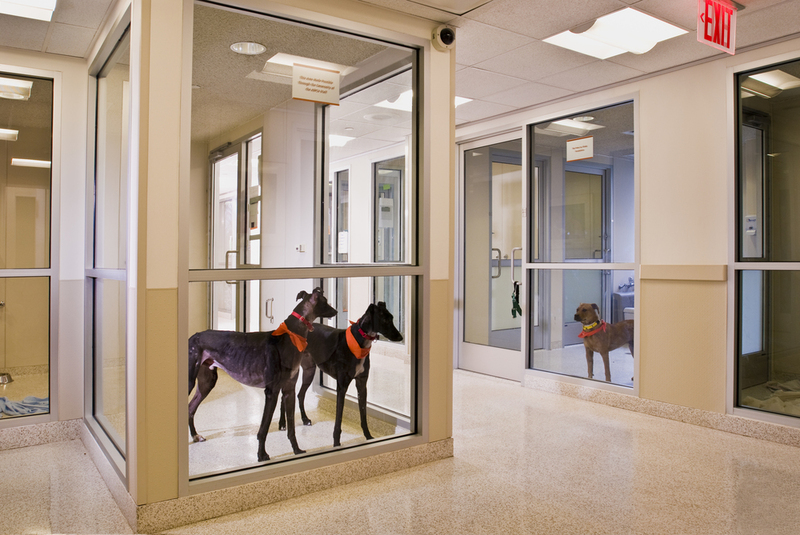 The renovation of two floors of the existing headquarters of the ASPCA replaced all the old animal cages and runs in the building. 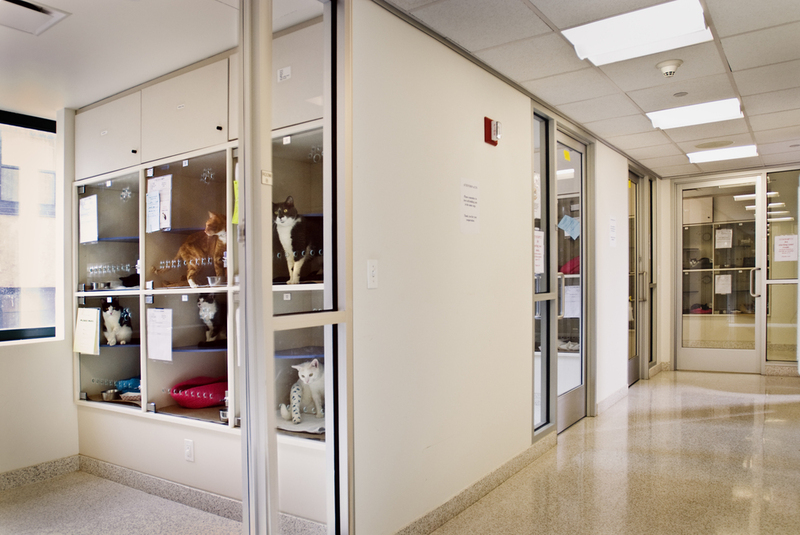 Now, staff members receive and examine intake animals on the fourth floor. As space is available in the adoption rooms, animals leave the intake housing and come down to the new adoption areas on the main floor. 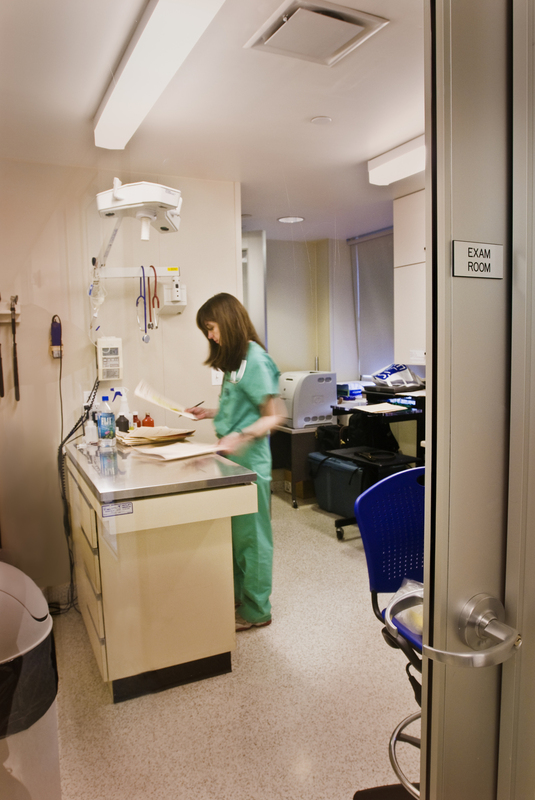 A variety of room sizes allow staff flexibility in assigning animals to different spaces. The rooms are intermingled with get-acquainted play areas to allow space for adopters to “meet their match.” For cats, ARQ developed new double-height cat “condos” that have both horizontal, side-to-side doorways and vertical, top-to-bottom removable hatches. Each condo gets fresh air through vent holes in the glass doorways. Air is exhausted through individual ducts at the back of the condo. Used for intake and asocial cats, as well as for moms & kittens, the individual condominiums inhibit the spread of air-born pathogens, while providing a more hygenic and comfortable environment for the cats. handling units were placed on the roof to increase air change levels and supply animal rooms with 100% outside air. The image at left illustrates one configuration of the cat "condominium "-style interlinked housing with glass doors and integrated exhaust air pioneered by ARQ Architects.